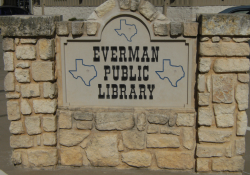 Greetings from the Everman Public Library! I would like to take this time to tell you about some exciting news about the library, we are already working on Our Summer Reading Program.... We want to make this one the best one yet! I am very happy to inform all the patrons about the 6 brand new computers for the Library. Four of them will be set up for patron use and two of them will be for the staff use. These new Computers were purchased with the money from the Bill and Melinda Gates Grant to whom we are deeply thankful for their generosity and support. We are alsovery grateful to the Friends of the Everman Public Library for providing deskson which these computers will be placed for public use. we want to thank all of you who have made donations to the Friends and to the Library...We will never forget it!! Since we have more computers now, it was necessary to also upgrade the Internet service. We are glad to inform you that the Internet service now has the capability to downlaod at 4 Mbps instead of 611 kbps...which simply means that it is alot faster! Special thanks to the City of Everman Management. 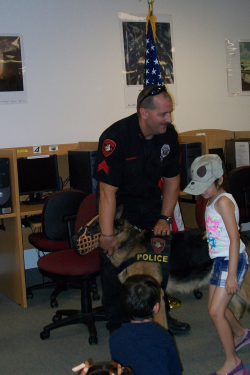 The Library also received the Loan Star Grant through the State Library and Archives Commission. Part of the money received has been used in the purchase of a brand new copy machine, the rest of the money will be used for the purchase of periodicals, books and research materials for the Library. As you can see, a lot of things have happened since last year. We would like to invite you to come and visit the Library and see the changes for yourself. Many people in our community don't have access to the internet, books or just a place to study. 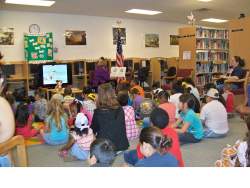 The Everman Public Library is here to provide that for them. Thank you and come by soon.